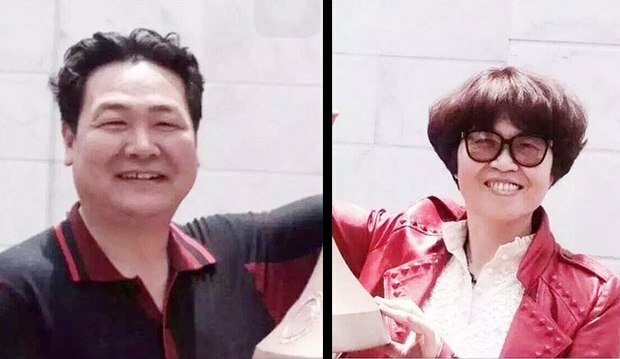 CHINA (RLPB 346), where President Xi Jinping is consolidating power and criticism of Chinese Communist Party (CCP) policy is increasingly being punished with imprisonment. Christian lawyer and defender of the cross, Zhang Kai, was releasedfrom 'black jail' detention on 23 March. 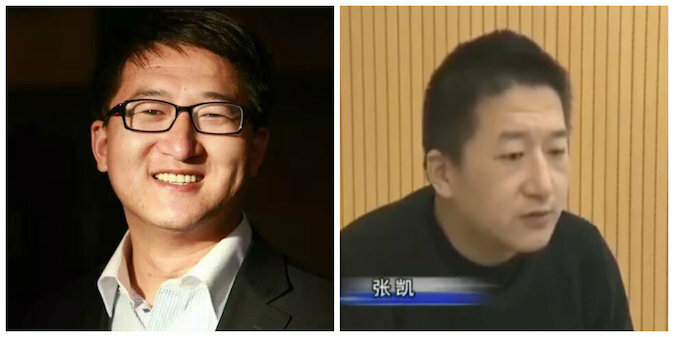 Detained since August 2015 [see RLPB 325 (2 Sep 2015)], Zhang Kai has now returned to his home in Inner Mongolia.While the conditions of his release are unknown, it is highly likely that Zhang was released upon agreeing to stay out of 'politics' and on the understanding that any criticism of CCP policy would result in especially harsh punishment. Pray that Zhang Kai will know God's love and blessing, and have peace. Pray for China's imprisoned believers. BURMA (Myanmar) (RLPB 347) where the Burmese military continues to persecute Burma's ethnic nations with military violence fuelled by greed and exacerbated by racial-religious hatred and with drugs, with which the military is flooding the ethnic regions, with devastating effect. On 15 March Burma's new government, led by the National League for Democracy (NLD), elected Aung San Suu Kyi's long-time trusted friend and confidant, Htin Kyaw (69) -- an Oxford university graduate with a degree in economics -- as Burma's new president. Controversial military strongman, retired Lieutenant General Myint Swe (64), was elected as First Vice President; while NLD MP Henry Van Hti Yu (58), an ethnic Chin Christian, was elected as Second Vice President. The new government will take office on 1 April. Please pray for Burma as the military will resist any attempts to roll back its power and economic interests. Immediate policy flashpoints include the drugs issue and the highly controversial Myitsone Dam project being resisted by theChristian Kachin [see RLPB 132 (2 Nov 2011)]. Pray for Burma's long-persecuted ethnic nations. Pray for the Church in Burma. 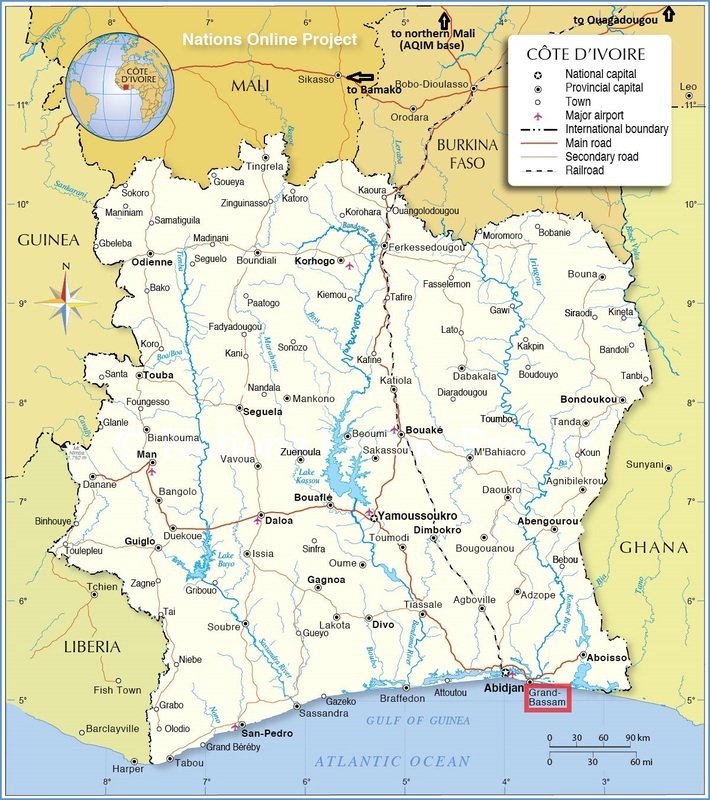 IVORY COAST (RLPB 348), where a 13 March terror attack in Grand-Bassam, perpetrated by al-Qaeda in the Islamic Magreb (AQIM), showed that the predominantly Christian south is vulnerable to jihadist infiltration and attack. YEMEN (RLPB 348), where Sunni and Saudi Arabian forces are battling ascendant Shi'ites and where Islamic State (IS) is competing with al-Qaeda in the Arabian Peninsula (AQAP). Without peace and security, the remnant, servant church is likely to be eliminated. The whereabouts and fate of Father Tom Uzhunnalil remains unknown. A report that he had been crucified on Good Friday was nothing but an unsubstantiated rumour based on a misinterpreted sermon. IS has not issued any such threat, statement or claim. Unfortunately the sensational rumour spread like wildfire on social media and has been widely republished. Bishop Paul Hinder of Southern Arabia (a region in Saudi Arabia), told Catholic News Agencyon Monday 28 March that he has 'strong indications that Fr Tom is still alive in the hands of the kidnappers.' So please continue to pray that God will protect, comfort, strengthen and ultimately deliver Fr Tom. EASTER DEVOTION (RLPB 349): 'After Saturday Comes Sunday.' Please continue to pray for the Church to be convicted, awakened and energised so that she will witness to the world through her faith-fuelled willingness to risk much to rescue the lost and care for the persecuted. A Protestant fellowship in the Kabylie region is being threatened with closure. On 18 March al-Qaeda in the Islamic Maghreb (AQIM) launched a rocket attack ona gas plant and reiterated its intention to punish the Algerian government for supporting France in its 'war against Muslims in northern Mali'. With Algerian-led AQIM escalating its attacks across the Maghreb, Algerian authorities may feel the need to demonstrate their Islamic credentials. Pray for the Church in Algeria. On Tuesday 22 March three Islamic militants on a motorcycle intercepted Hossain Ali (68), a Christian convert from Islam since 1999, as he undertook his routine morning walk in Kurigram, in northern Bangladesh. They attacked him with knives, stabbing him, hacking at his neck and slitting his throat. 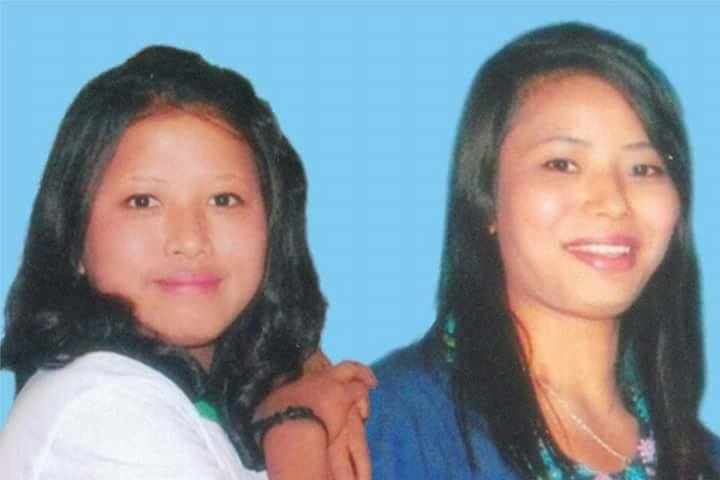 They hurled improvised explosive devices at on-lookers before fleeing on their motorcycle. Ali is the second convert assassinated this year; Pastor Khaza Somiruddin (75) was killed in western Jhinaidah in January. On that occasion Islamic State claimed responsibility, boasting: 'Soldiers of the caliphate were able to eliminate the apostate, named "Samir al-Din", by stabbing him with a knife.' In claiming responsibility for killing Hossain Ali, Islamic State declared, 'A security detachment from the soldiers of the Caliphate was able, by the grace of Allah the Almighty, to kill the apostate [Ali], who changed his religion and became a preacher [witness] for the polytheist Christianity.' Once again, the government of Bangladesh has denied that Islamic State was responsible. Pray for the Church in Bangladesh. On Monday 21 March armed men kidnapped three United Church of Christ in Nigeria pastors as they returned from preparing their site on the southern outskirts of Kaduna for an Easter retreat. Rev Dr Emmanuel Dziggau, president of the church, the Rev Iliya Anto, deputy president of the church, and the Rev Yakubu Dzarma, a retired church leader, were ambushed by six masked men armed with automatic rifles. Initially, 100 million naira (US$500,000) was demanded as ransom; however, that sum has since been reduced to 10 million naira. There is confusion as to whether Rev Iliya Anto was released due to his poor health. When church authorities went to the site where the kidnappers said they hadleft him, he was nowhere to be found. It is suspected that the gunmen are Fulani Muslims. 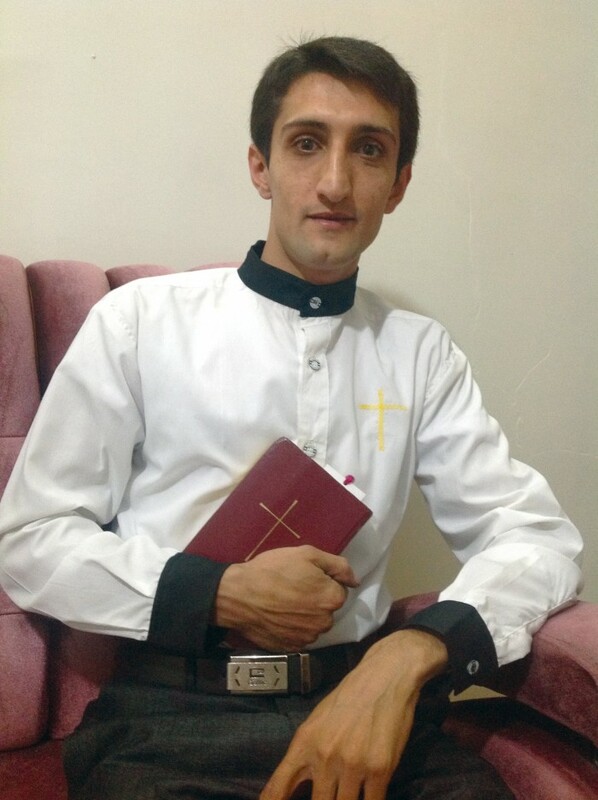 Please pray that God will preserve and deliver the Reverends Dziggau, Anto and Dzarma. 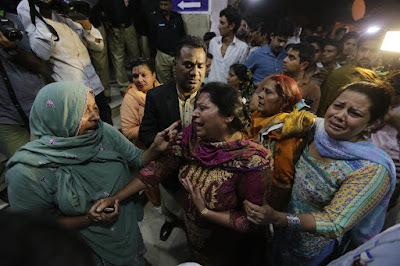 On Resurrection Sunday 27 March, as Christians gathered in Lahore's Gulshan-e-Iqbal Park, an Islamic militant entered their midst and blew himself up beside children's amusement rides. The 20kg bomb sent shrapnel slicing through the crowd. At least 70 people were killed at the scene (at least 45 Christians and 25 Muslims), with more than 300 injured, at least 138 critically. Local sources report much higher figures. The death toll will continue to rise. 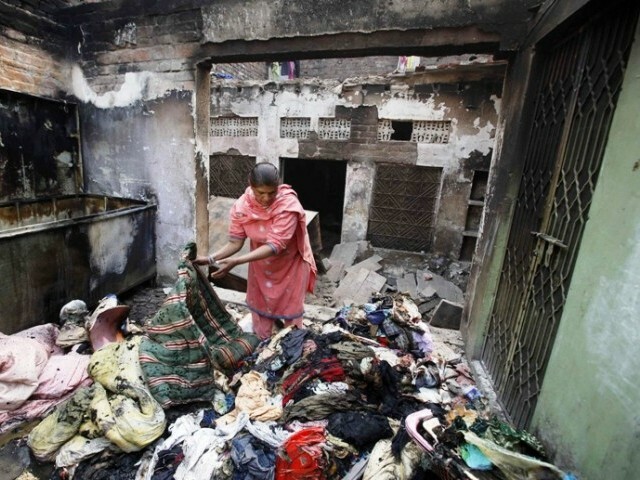 Jamaat-ul-Ahrar, a faction of the Tehreek-e-Taliban Pakistan (TTP: Pakistani Taliban), claimed responsibility for the attack: 'We have carried out this attack to target the Christians who were celebrating Easter. Also this is a message to the Pakistani prime minister [Nawaz Sharif] that we have arrived in Punjab [Sharif's home province].' (This is the same group that sent suicide bombers against two churches in Lahore's Youhanabad Christian colony 12 months ago [see RLPB 301 -- 18 Mar 2015]). The attacks came a day after the Islamic Emirate of Afghanistan (Afghan Taliban) -- with whom the TTP has close ties -- released a statement entitled: 'Only Islamic rituals can be celebrated in an Islamic country.' Pakistan's Church is gravely imperilled. Please pray. Also on Sunday 27 March some 25,000 Sunni fundamentalists gathered in Rawalpindi to observe the completion of 40 days of mourning for Mumtaz Qadri, the Islamist executed on 29 February for murdering anti-blasphemy campaigner, Punjab Governor Salmaan Taseer in January 2011. They then marched on the capital, Islamabad, and on reaching the police barricades, erupted into a violent rampage. 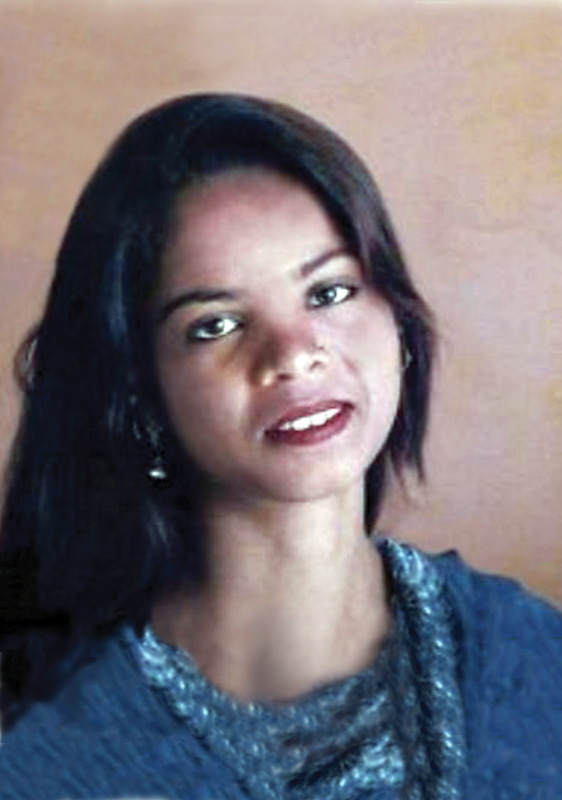 They demanded that Qadri be declared a 'martyr' and that Aasiya Noreen (Asia Bibi) -- a Christian mother on death row for alleged blasphemy; the woman Salmaan Taseer was supporting -- be immediately executed. Some 3000 Islamists then staged a sit-in and paralysed Islamabad's high security 'red zone' for a second day. More than 700 protesters have been arrested; tensions are soaring. Pray that God will shield Pakistan's vulnerable Christian communities from the wrath of angry Islamic fundamentalists. 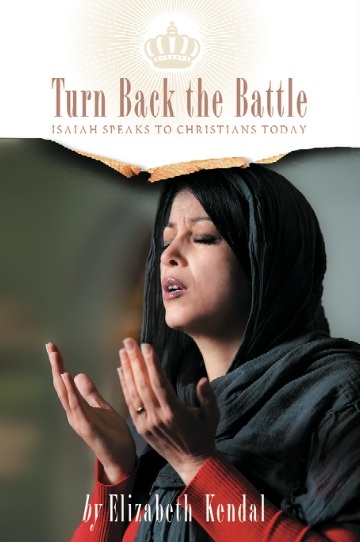 Elizabeth Kendal is the author of Turn Back the Battle: Isaiah Speaks to Christians Today (Deror Books, Dec 2012) which presents a Biblical response to persecution and existential threat. Her second book, ‘After Saturday Comes Sunday’: Understanding the Christian Crisis in the Middle East, is being published by Wipf and Stock (Eugene, OR, USA), and will be released shortly. 'After Saturday comes Sunday' is the English translation of an Arab Muslim threat expressing genocidal intent. It means, 'After we (Muslims-- Friday people) get rid of the Jews (Saturday people) we'll get rid of the Christians (Sunday people),' and the seriousness of this threat is self-evident, with Mesopotamia (Iraq & Syria) already 'cleansed' of Jews and the remnant Christians now facing genocide. However, the Christian crisis does not end in the Middle East. Hindu nationalists would love to eliminate Christianity from 'Hindu India'. Just as the Burmese military would love to eliminate Burma's Christian ethnic nations, so too would the Indonesian military love to see the Christian Papuans eradicated from Papua and the Vietnamese government would love to drive Christians from the resource-rich Central Highlands. The Government of Sudan has commanded its military to 'sweep away the rubbish' -- i.e. 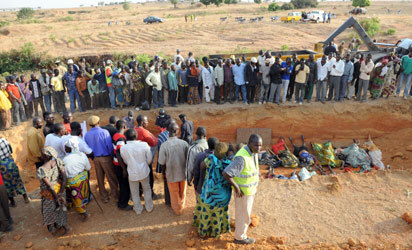 eliminate African Christians -- from the Nuba Mountains [see RLPB 194 (23 Jan 2013)]. All totalitarian regimes long to enslave Christianity or be rid of it. And in the post-Christian secular humanist West, those pursuing the Marxist dream of total sexual liberation are striving to achieve Christianity's death. The situation is anything but good. Of course Jesus did warn us it would be this way, saying, 'If they persecuted me, they will persecute you also ...' (from John 15:8-16:4a). Therefore, rather than being surprised or shocked, we should be ready, not only to stand firm in our faith, but to help one another. To the followers of Jesus, that first Good Friday was anything but 'good'. On the contrary, it was absolutely horrendous. Three times Jesus warned his followers that he would be arrested, scourged and crucified in Jerusalem. But the disciples found the idea that the Messiah should suffer and die so incomprehensible they chose to reject it. Therefore, when events unfolded just as Jesus had foretold they were shocked and totally unprepared. Making matters worse, after Friday came Saturday, and the horror of the cross was followed by the silence of the grave. As far as Jesus' followers could see, not only was their Messiah dead and buried, so too were all their hopes and dreams. Injustice and evil had triumphed. Their journey with Jesus was over. Except that it was not! For after Saturday came Sunday and what happened on Sunday changed everything. The resurrection left death dead, silence mute and shame ashamed. It dried up tears, melted fears and ignited joyous proclamation. Christ had achieved victory over our enemies (sin and death), not through proxies or from a safe and comfortable distance, but by inserting himself into our crisis (our captivity to sin and death) and destroying it from within, thereby setting us free. Horror and divine silence are not grounds to lose faith or to retreat from the world or disengage with the persecuted. God is at work destroying his enemies (1 Corinthians 15:20-26), fulfilling his promises (Deuteronomy 7:9), and building his Church (Matthew 16:18). This is no time to retreat; this is the day to engage so we might be fortified through solidarity with the Body; so the lost might be reached through amazing grace; so the persecuted might be sustained through sacrificial love. These are all forms of witness that point to Christ, the hope of the world. Today is the day of opportunity. It is tragic that many Christians and far too many churches remain disengaged from the world, deeming it a dangerous place and a hopeless cause. It is shameful that many Christians and far too many churches remain disengaged from the suffering church, burdened by its tears, ashamed of its suffering, and confused and repelled by the politics of persecution. When the world looks at a crisis it sees death and hears silence. But by faith we know that the Redeemer is there, alive and active. By faith we hear him calling us: 'Deny [yourself], take up [your] cross and follow me' (Matthew 16:24). By faith we say 'Yes Lord' and step out in mission, to scatter the seed where he is preparing the soil. By faith we respond with the provision of aid, with advocacy (speaking up), and through intercessory prayer, fuelled by our confidence that Sunday is coming. As we consider the story of the Cross -- from the horror of crucifixion Friday through the silence of Saturday to the exuberance of resurrection Sunday -- let us pray that God will convict the Church of its sin of self-interest, preferring recreation and entertainment to the serious business of mission and ministry when the need is so great. May God awaken the Church to the significance of the Cross, so that regardless of circumstances -- persecution, injustice, horror or even divine silence -- our hope will endure and our faith will be firm. May God energise the Church by the Holy Spirit to prepare for hardship, suffering and persecution so that, regardless of circumstances, we will respond in a way that pleases and glorifies the Lord our Saviour. 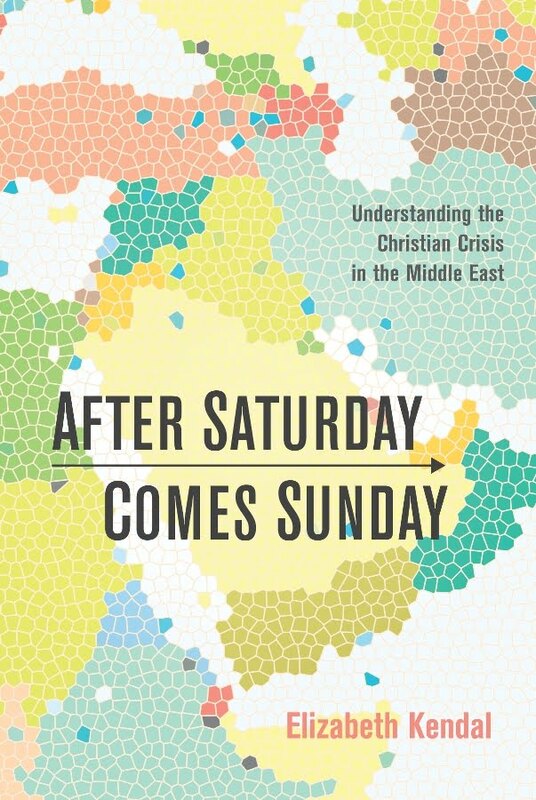 Elizabeth Kendal's new book, After Saturday Comes Sunday: Understanding the Christian Crisis in the Middle East, currently being published by Wipf and Stock (Eugene, OR, USA), will be available shortly. At 1 pm on Sunday 13 March heavily-armed masked gunmen from Al Qaeda in the Islamic Maghreb's (AQIM's) al-Murabitoon struck Grand-Bassam, a beach resort town in south-eastern Ivory Coast (IC), killing 14 civilians and two soldiers. Only 40km south-east of IC's commercial capital, Abidjan, world heritage listed Grand Bassam served as the French colonial capital between 1893 and 1896. AQIM's al-Murabitoon is the same group that targeted the Splendid Hotel in Ouagadougou, the capital of Burkina Faso, over 15-16 January, killing 29 civilians, including seven Christian aid workers. In November 2015 it attacked the Radisson Blue in Bamako, the capital of Mali, killing 22 civilians. AQIM is the same group that is holding Australian missionary Dr Ken Elliot (81), seized in northern Burkina Faso, and Swiss missionary Beatrice Stockly, seized in Timbuktu, northern Mali. [See RLPB 431 (27 Jan 2016). Note: Jocelyn Elliot has since been released.] AQIM's strike in Grand Bassam was a strike deep into 'Christian' West Africa. In Grand Bassam the terrorists roamed the beach shooting beach-goers and opened fire on the guests at the L'Etoile du Sud hotel to shouts of 'Allahu Akbar' (Allah is Greater). Nearby Sacred Heart Cathedral opened its doors to offer shelter -- first to dozens of people fleeing from the beach, then to some 50 hostages liberated by police from the L'Etoile du Sud. According to local media, Ivorian security forces were on high alert, having been advised 24 hours earlier that a terrorist attack was imminent. 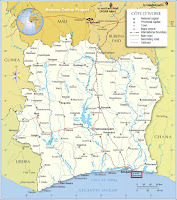 Southern Ivory Coast is predominantly Christian. If AQIM is looking for soft targets full of 'infidels' (local and foreign), the many churches, international schools, business centres and tourist resorts of southern Ivory Coast would prove hard to resist. Pray for security in Ivory Coast. Yemen was two states before 1990: North Yemen (facing the Red Sea) and South Yemen (facing the Gulf of Aden). North Yemen was 60 percent Shia and existed as a Shia Imamate for 1000 years until 1962 when nominal Shia, Arab socialist Ali Abdullah Saleh seized power in a military coup. South Yemen, however, was 99 percent Sunni with a significant Marxist element. When the two states united in May 1990, cracks immediately appeared. Not only were the Shi'ites now a 30 percent minority, but with power based in Sanaa in the north, the southerners, feeling marginalised, started agitating for secession. When civil war erupted in 1994, President Saleh employed jihadists -- veterans of the Afghan War -- to fight his enemies. When a Shi'ite rebellion erupted in 2004, it quickly developed into a regional sectarian proxy war with Iran backing the Shi'ites and the Arabs (led by Saudi Arabia) backing the Sunnis. [For background see Religious Liberty Monitoring, label: Yemen] Though President Saleh was removed in the 'Arab Spring', no political solution has been found to Yemen's problems. The state remains blighted by sectarian war, with foreign powers backing opposing sides while al-Qaeda in the Arabian Peninsula (AQAP) and Islamic State (IS) compete for territory and recruits. It is doubtful the remnant (mostly expatriate) Church will survive. 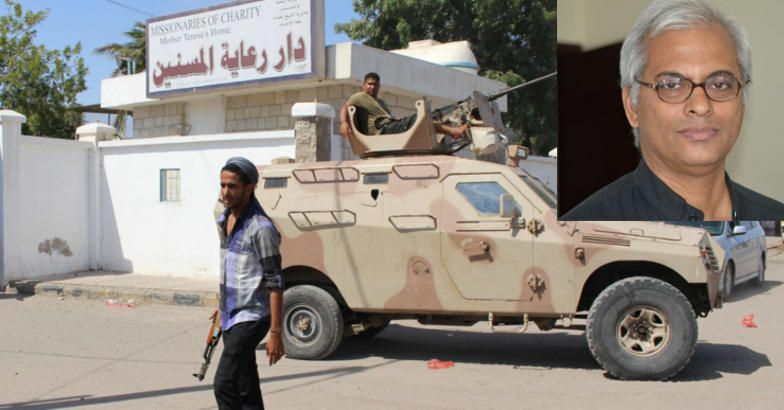 On 4 March IS jihadists stormed a retirement home run by Mother Teresa's Missionaries of Charity in the highly strategic southern port city of Aden. The terrorists went room to room handcuffing elderly residents who were then taken outside and shot. When the terrorists came across Father Tom Uzhunnalil (56), an Indian Salesian priest, praying in the chapel, they locked him in. Fr Tom had been living at the charity home since September when AQAP sacked and burned his Aden parish [see RLPB 340 (15 Dec 2015)]. Along with three staff and at least eight elderly residents, four nuns were killed in the attack. Another nun managed to survive by hiding in a fridge; she is now on her way home to India. All these missionaries had resisted calls to leave Yemen, opting to stay and continue serving those in their care. After the slaughter, the jihadists returned to the chapel, handcuffed Fr Tom and took him away. His whereabouts remain unknown. * intervene to deliver the foreign missionaries recently taken into captivity: Dr Ken Elliot and Beatrice Stockly (both captives of AQIM in northern Mali) and Fr Tom Uzhunnalil (a captive of IS in Yemen); may the captives be safe and filled with the peace of God. 'Keep me as the apple of your eye; hide me in the shadow of your wings' (Psalm 17:8 ESV). 'And the peace of God, which surpasses all understanding, will guard your hearts and your minds in Christ Jesus' (Philippians 4:7 ESV). * grant divine wisdom and insight to local civic and church leaders in troubled and insecure regions, thinking particularly of war-ravaged Yemen and vulnerable Ivory Coast. May the local people be alert (Acts 23:12-24); may the Church be sensitive to the Spirit's leading (Acts 16:6-10) and may the schemes of the wicked come to nothing (Psalm 146). On Sunday 13 March, jihadists from al-Qaeda in the Islamic Maghreb's al-Murabitoon struck the south-east coast of Ivory Coast. They shot beach-goers and patrons at the L'Etoile du Sud hotel -- 16 died. Some 100 terrified civilians found sanctuary in the nearby Cathedral as Ivory Coast security forces battled the militants. Southern Ivory Coast is predominantly Christian. Pray for Ivory Coast and its security. In Yemen on 4 March, jihadists from Islamic State massacred 12 staff and residents as well as four foreign nuns at a Missionaries of Charity retirement home in Aden. They also kidnapped Father Tom Uzhunnalil (56), an Indian Salesian priest; his whereabouts remain unknown. Meanwhile, Yemen is wracked by warring internal Islamic factions. Please pray for Yemen and for its remnant, servant Church. Elizabeth Kendal is the author of http://www.turnbackthebattle.com/thebook.html (Deror Books, Dec 2012) which offers a Biblical response to persecution and existential threat. Elizabeth Kendal’s new book, After Saturday Comes Sunday: Understanding the Christian Crisis in the Middle East, presently being published by Wipf and Stock (Eugene, OR, USA), will be available shortly. Burma is home to more than 135 ethnic groups, the largest of which is the Bamar (Burman) nation, which comprises 60 percent of the population. The Bamar are Buddhist. 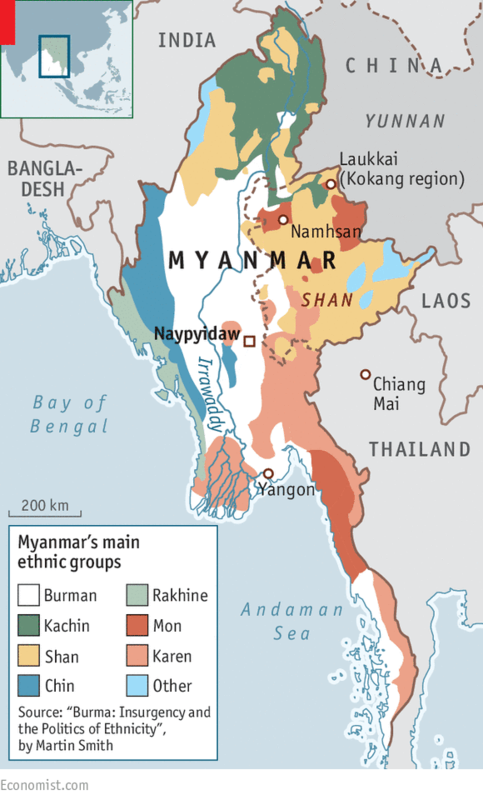 However, 57 percent of the land mass of Burma is occupied by ethnic minority nations, most of which are not Buddhist. The Chin (in the west) and the Kachin (in the north) are Christian nations, while Burma's largest ethnic minority nation, the Karen (in the east) is up to 30 percent Christian. Most of Burma's Christians are Baptist, the legacy of pioneer missionary Adoniram Judson. After World War 2 General Aung Sun (father of Aung Sun Suu Kyi) united the ethnic nations, founded the Union of Burma, headed a parliamentary democracy and secured independence from Britain, before being assassinated in July 1947. Profound ethnic and religious differences made the Union fragile, and infighting left the government weak. On 2 March 1962 Army Chief of Staff, Ne Win staged a coup d'etat and declared himself head of state. Blending Marxism and Buddhist superstition, Ne Win advanced a Soviet-style nationalisation which brought all elements of society under the control of the military junta. It was a catastrophe from which Burma has yet to recover, especially as so many repressive and unjust militarist policies remain thoroughly woven into the fabric of the State. For an excellent backgrounder on Burma see: Oxford Burma Alliance. In Burma all land still belongs to the central government and, though the government grants farmers tillage rights, it will also grab land back illegally if it wants it. Consequently, struggles rage between the central government, which is desperate for resources and foreign investment, and indigenous ethnic nations who would rather die fighting than surrender their ancestral lands. Motivated by greed, emboldened by power and impunity, and fuelled with ethnic-religious hatred, the Bamar-Buddhist Burmese military engages in ethnic cleansing and persecution of unfathomable cruelty. Whilst Burma has long been a centre of drug cultivation and trafficking, it seems drugs have now become central to a new military strategy of 'covert drug genocide'. Since the resumption of conflict in mid-2011, ethnic minority leaders have observed unprecedented quantities of drugs invading their regions. 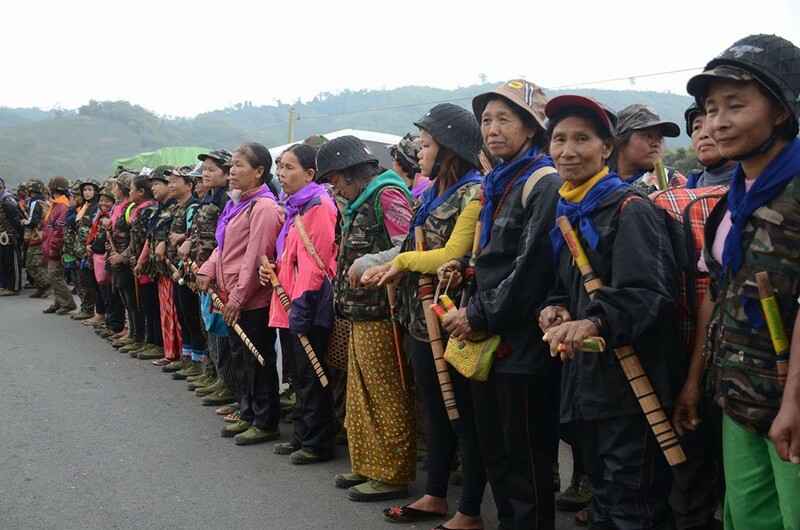 Two years ago in Kachin State, with the problem reaching catastrophic levels, the KBC formed a group called Pat Jasan (literally Prohibit Clear), a Kachin community-based drug-abuse eradication network. With some 100,000 members, Pat Jasan operates with full government support. See Religious Liberty Monitoring (9 March 2016) for a more detailed report entitled 'Burma: Covert Drug Genocide'. * empower the new government, led by Aung Sun Suu Kyi and the National League for Democracy, to rein in the military, end corruption, eradicate drugs and defend the rights and interests of the ethnic nations; may Aung Sun Suu Kyi be Burma's 'Cyrus' (Isaiah 45:1-13). * bless the Christian leaders of Burma's ethnic nations with divine wisdom and insight, strength and grace, so their nations will know healing. * intervene in the lives of multitudes of drug-dependent youths now in Chin, Kachin and Karen States, that they will know the healing power of our loving, forgiving, merciful Saviour. Sunday 13 March is Global Day of Prayer for Burma. The largest ethnic group is the Bamar (Burman) nation, comprising 60 percent of the population. The Bamar are Buddhist. However, 57 percent of the land of Burma is occupied by over 135 ethnic minority nations, mostly not Buddhist. The Chin and the Kachin are Christian nations and the Karen nation is up to 30 percent Christian. 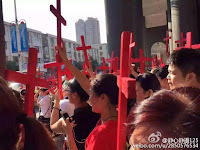 Today, 54 years after the March 1962 military coup, many repressive and unjust militarist policies remain woven into the fabric of the State and the Christian ethnic peoples are still marginalised and persecuted. Pray that God will intervene to empower and protect all who risk much to pursue justice, righteousness, truth and life. Please pray for Burma and its Christians.